Full Moon is looming over the horizon! And it's not a good sign for Rage, Nicodemus, Ariane and Tuk. Our unlikely heroes are on a quest that will lead them to the fabled Many Angled Land, but their ennemies aren't far behind. 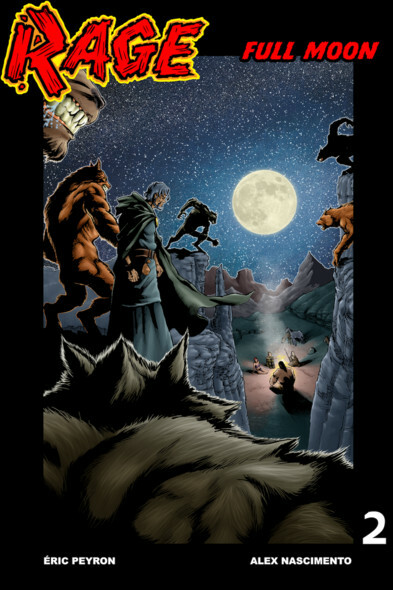 Be there for the first part of a new Rage Saga with werewolves! Lots of werewolves! Written by Eric Peyron, drawn by new official Rage artist Alex Nascimento and colored by Stéphane Degardin.